The Cottage Winery tasting room features unique wines from local Wisconsin vineyards, including those made with their own grapes, and a wine bar with wines from around the world. 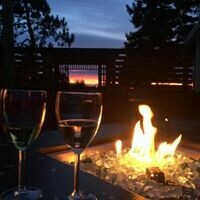 Enjoy the wines on the outdoor patio and relax with the vistas of the vineyard. Vino Cappuccino is a new, rustic hideway off the beaten path in Elk Mound. 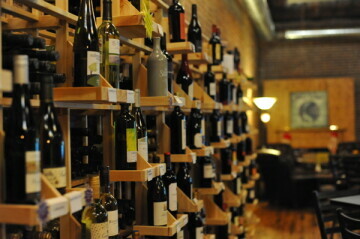 Features a wine bar with local wines from Autumn Harvest, Infinity, and River Bend. Made to order, wood-fired pizzas, paninis, salads, desserts like cheesecake and spicy brownies, and more in a relaxed atmosphere. This intimate eatery & wine bar offers globally influenced seasonal menus, wine tastings & martinis.